They always say Barcelona is the perfect test of a Formula 1 car, a place that stretches all aspects of chassis performance. 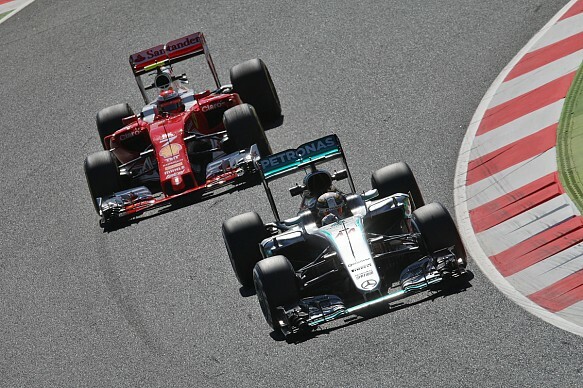 It’s also a good opportunity to see how F1 teams have progressed since winter testing, during. The Red Bull is definitely the best chassis on the grid now. The RB12 is peerless under braking, super-stable at high-speed and particularly strong at entering and transitioning through the slow stuff. It would win regularly with Mercedes power. It’s easy to say Mercedes only dominates because of the most powerful engine on the grid, but that does the chassis a disservice. It does not quite have the Red Bull’s poise at either high or low-speed, but is not far off. The Ferrari has no obvious vices and generally looks very well balanced in all types of corner, but is clearly a step behind Mercedes at high-speed and weaker than Red Bull at low-speed. The McLaren-Honda looks lairy at the rear occasionally, but is still very capable – particularly at low speed. It has easily the weakest engine, which compromises its high-speed aero performance. With significantly more power it could potentially be a threat to the top two. The Toro Rosso looks very capable and driveable, particularly at high-speed where it seems super stable. Braking and low-speed performance is not at the same level as the top teams, though, and STR lacks power compared to most of its rivals. Solid in all respects, but the Williams doesn’t look the easiest to drive at high-speed, requiring a very precise line from the drivers. Its low-speed corner entry has improved but is still a weakness. The FW38 gives good traction, though, and Mercedes power lifts it above Toro Rosso and McLaren overall. 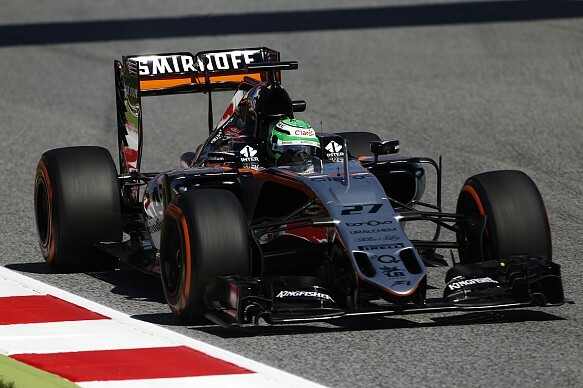 The Force India has a particularly strong front end, so is very effective in short duration corners, but lacks downforce and suffers for traction, perhaps because of the difficulty in retaining rear grip having adopted the Red Bull-style high-rake set-up. A recent upgrade has edged it closer to Williams. This is essentially last year’s Lotus E23 – a very capable chassis – with a Renault engine. It looks particularly benign to drive but lacks power and downforce. 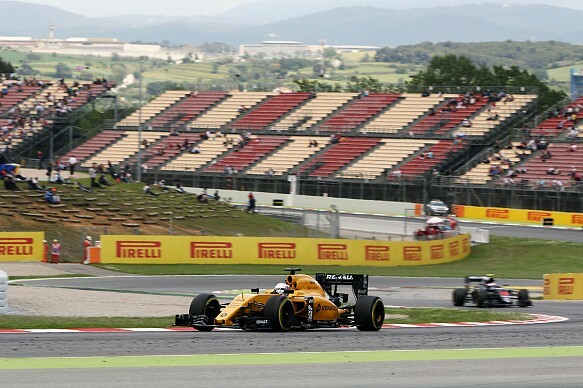 Renault could become an upper midfield threat if planned upgrades to the chassis and engine work as expected. The Haas looks edgy to drive at high-speed, particularly when transitioning quickly from right to left, but offers decent traction and is very strong in a straightline. The car basically looks like a less able, Ferrari-engined, Williams. 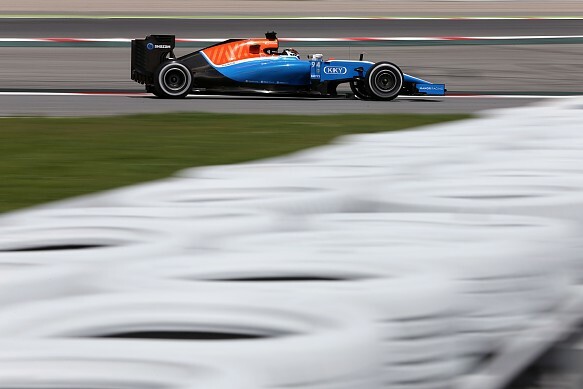 Sauber is gradually slipping away from the rest of the midfield, thanks to a lack of financing for development, but the car is inherently faster than the Manor, despite using a worse engine, and tends to be stronger in races than over a single lap. Like the Force India VJM09 the Manor-Mercedes is stronger at the front end than the rear, but it is more basic than other cars on the grid, so lacks significantly for downforce and traction. It has at least become a competitive proposition this season, rather than a total straggler.